Prabal Gurung with models in his Made For History collection. Image courtesy of Hillary for America. Move over Pablo, here comes Hillary! When it comes to the upcoming election, all bets are off, but one thing is for sure – the former Secretary of State is definitely winning the merch game. New York Fashion Week SS17 kicks off today with high profile shows from Yeezy, Vfiles, and Tom Ford, but the unofficial opening event happened last night, on September 6th, at the Made For History Fashion Show and Rooftop Party at Spring Studios, which functioned as a super stylish fundraiser for Clinton. Various looks on the Made For History runway. Image courtesy of Hillary for America. Hosted by Anna Wintour, and top Clinton aide, Huma Abedin, the runway presentation featured a plethora of designers including Joseph Altuzarra, Public School’s Dao-Yi Chow & Maxwell Osborne, Eva Fehren, Prabal Gurung, Brett Heyman, Marc Jacobs, Pamela Love, David Neville & Marcus Wainwright, Monique Péan, Tanya Taylor, Thakoon, Tory Burch, Georgina Chapman, Diane von Furstenberg and Jason Wu. 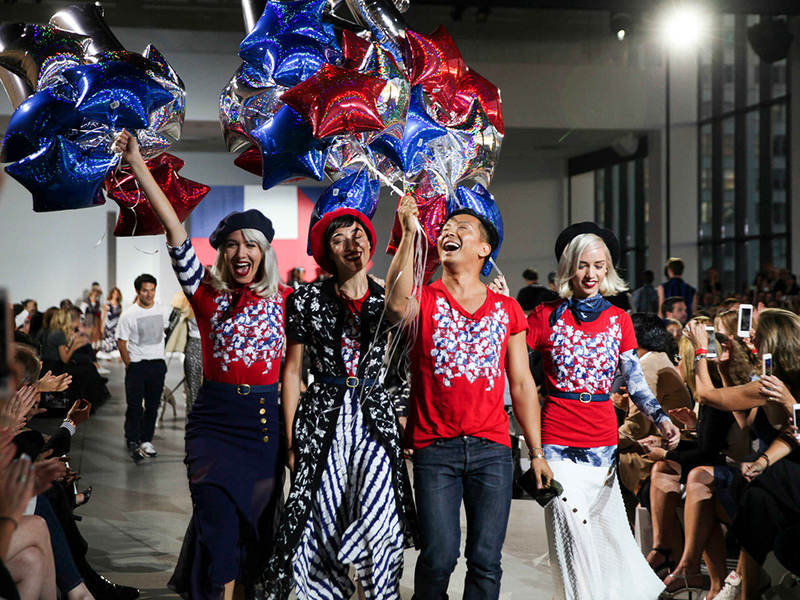 Each designer created a t-shirt in support of the Democratic nominee but this wasn’t just a parade of white tees. The shirts anchored mini runway collections shown by each designer and worn by models, ballet dancers, skater boys, and celebs, including Carmelo Anthony and LaLa Vazquez. Anna Wintour embraces Chelsea Clinton at the Made For History Fashion Show. Image courtesy of Hillary for America. 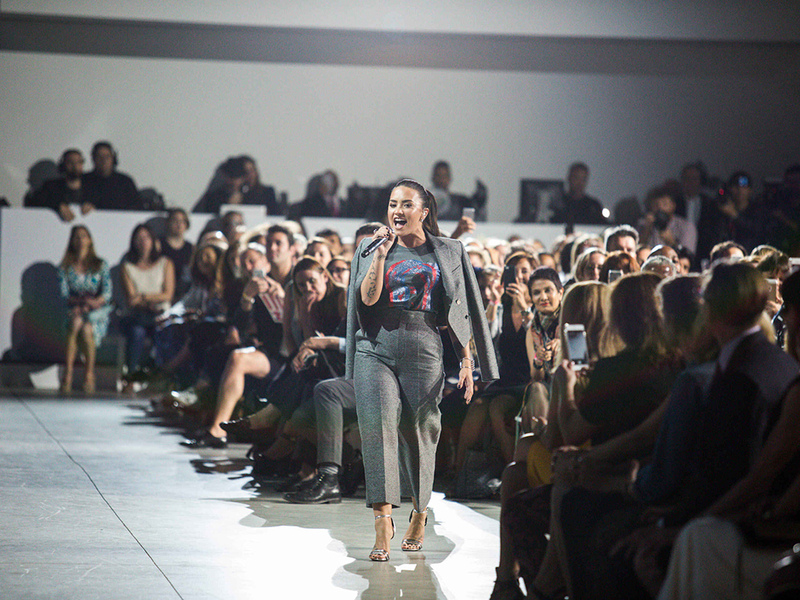 Demi Lovato performs at the Made For History Fashion Show. Image courtesy of Hillary for America. The night’s finale was Lovato’s performance of “Body Say” and “Confident” which were highlighted by an appearance from Chelsea. She rushed to the stage to thank the pop star for her candidness and advocacy surrounding mental health issues. Show your support for Hillary and look fabulous – head to Clinton’s official website to check out the Made For History t-shirt collection.